WOW! 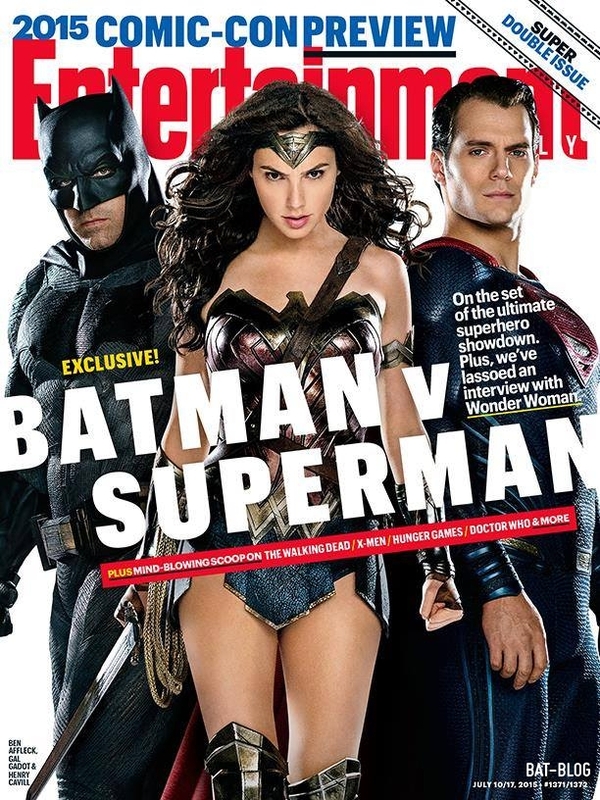 It looks like the current Entertainment Weekly has a special BATMAN V SUPERMAN cover and we get a rare look at the Actress playing Wonder Woman, Gal Gadot. We also get to see Ben Affleck as Batman and Henry Cavill as the Man of Steel. 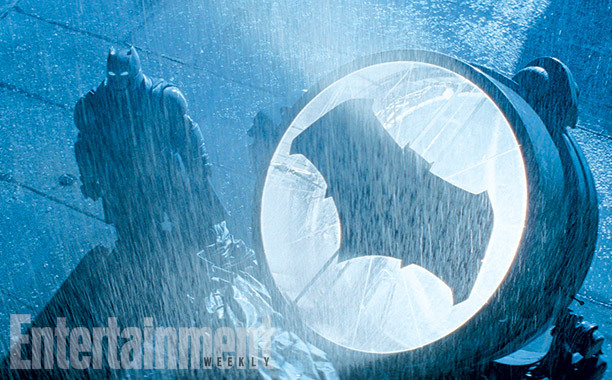 There is also this wonderful photo showing the Bat-Signal in Gotham City.